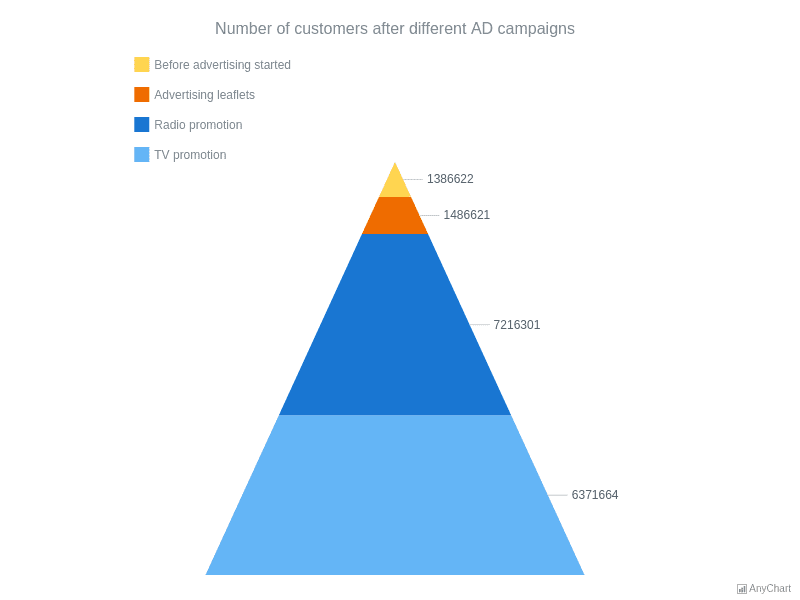 Brand EngagementThis funnel chart visualizes how the sales of a new fantasy saga book went on after different advertising campaigns. Each chart's point has a label with additional information. Chart's legend is hidden. 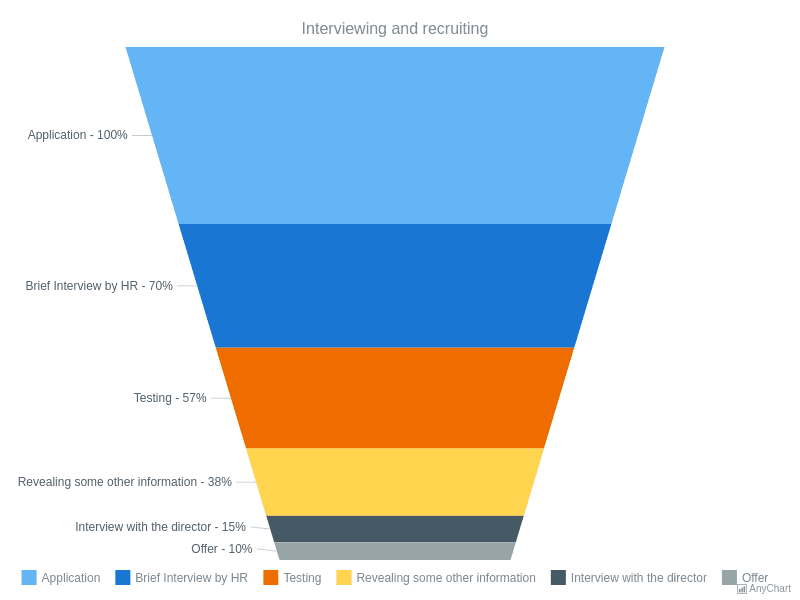 Interviewing and RecruitingA Funnel Chart of 6 slices shows how many of those who sent the application finally got a job in the corporation. Each slice means a level close to the target, and tooltips show the percentage each slice forms to the whole. Sales Retail ChannelsA Funnel Chart with 6 slices representing the steps of getting a job in a some company. The legend is enabled, making the steps more evident. The tooltips demonstrate the percentage each step forms according to all slices of the funnel. 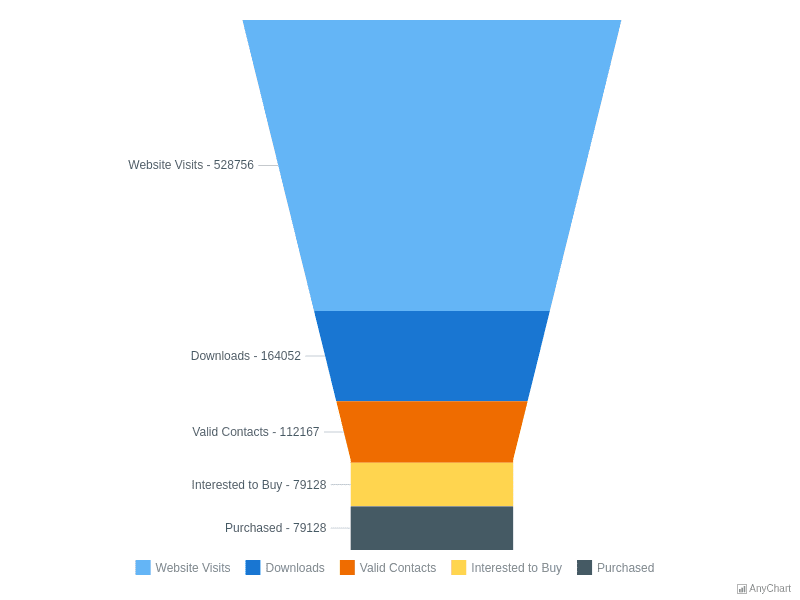 Website StatisticsA Funnel Chart demonstrates the scheme of attracting customers and making them purchase any goods from the store through the website. 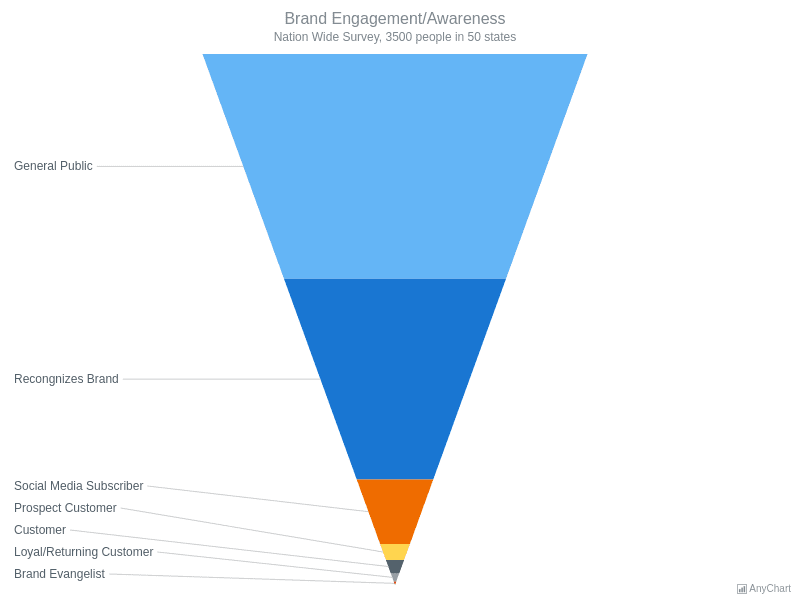 The 5 slices describes steps from Webpage visits to purchases.